Meet Saint and Grace, from my new book, The Confessional. Alexander Dembrovsky of Mibl Art designed the cover. Blue was first cover he designed for me. The second, Smoke Screen will release in March, and this is the third. 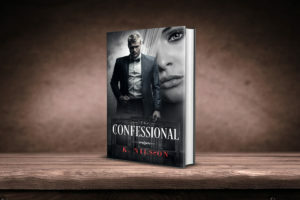 The Confessional is a dark romantic suspense thriller, and best of all ~ a standalone novel. It will launch on February 20, 2019. It will be in Kindle Unlimited.